1. 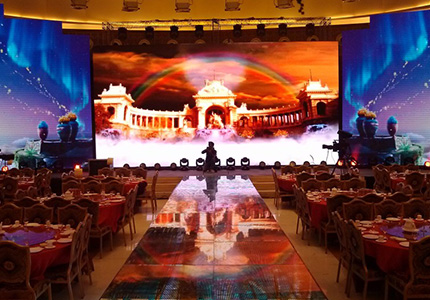 The indoor rental led display Flexible installation ways. Hanging type installation keep the nice showing effect also protect the building from damage. The project adopt lifting installation avoid to damage the building decoration and also present a good effect. 2. 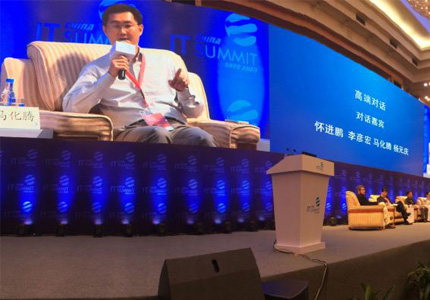 Perfect combination of Curtain LED display and rental led display makes the live broadcasting and picture and text message matching well, thus enhancing the speakers’ image. 3. 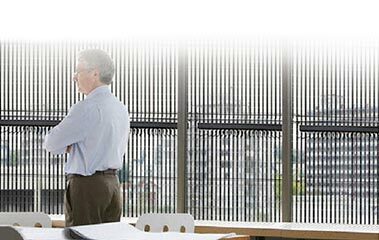 Non-noise feature makes no threaten for the formal conference atmosphere and bring speaker a nice speak environment. 2.High-end image of the project, reflecting the strength of the hotel to attract more customers. 3.Taking advantages of the quick and fast assemble and disassemble, hotels apply it into various activities. 1. 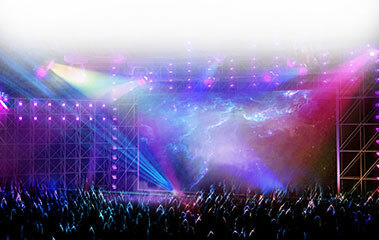 Five led display cover the whole venue which make the great performance of star to every audience. Light up the atmosphere. 2. 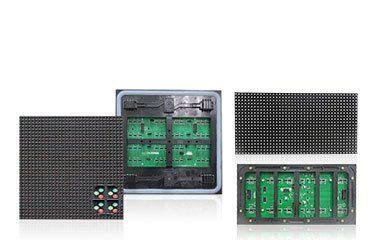 The five led display screen can play the same image at the same time or play image independently. 3. 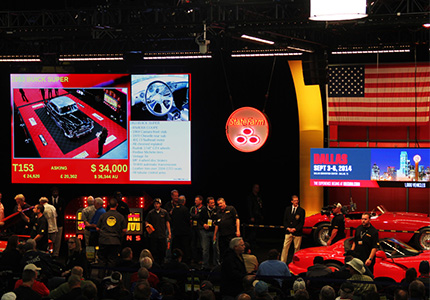 Fast install and package feature o, saving time of stage building and transportation as well as labor cost. 1. 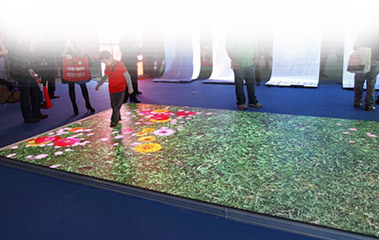 Small pixel pitch with high definition could presentation every single detail of product and the optimal viewing distance fit the needs of closer watching of exhibition. 2.Synchronous and asynchronous control system for option. It can be customized as client required. 3.Cost-effective. Durability and flexibility of the product make it could be long-term repeat use especially for companies attend exhibition frequently. 1. Making full use of the nice installation location that not only decorated the mall but also advertising for it. 2. Rent to other advertising agency and advertising for the shopping mall it self, once stone two birds. 3. Slim and lightweight aluminum cabinet design makes the fixed installation being more easy and cost effective..
1. 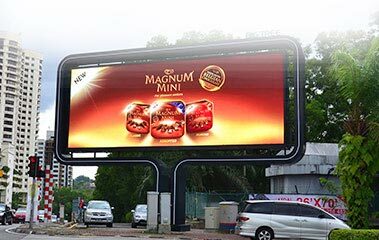 Hanging type installation makes full use of the smaller installation location, giving non-pressure to audience and making them feel comfortable.. What’s more, makes it more impressive and attractive when compared with the aside traditional billboard. 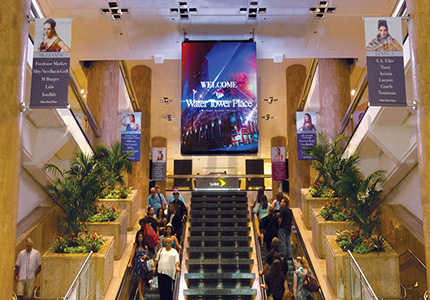 2.Installed above the entrance of high flow elevator to reach a better adverting effect by enlarge its audience. 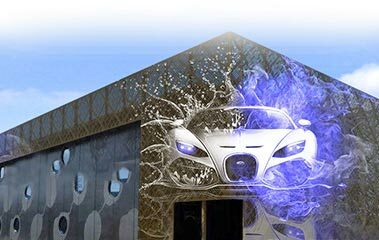 3.High gray scale level ensure a vivid and lively image which makes the advertising more attractive. 1.Curved design.we design for our customer according to install environment,to ensure the project come into real. 2. 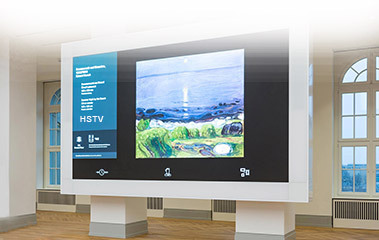 Synchronous control system, real-time synchronization live.High refresh rate to ensure smooth live. 3. 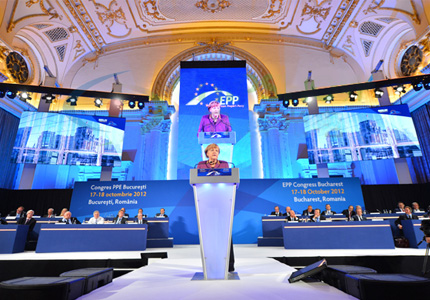 Noise free and automatic cooling system fit the needs of dialogue conference. 1. 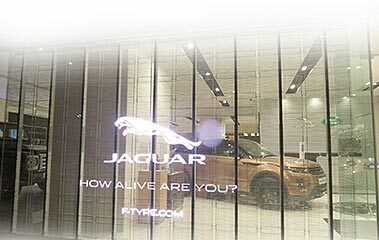 This project is mainly use for display the position information of the companies on the building. 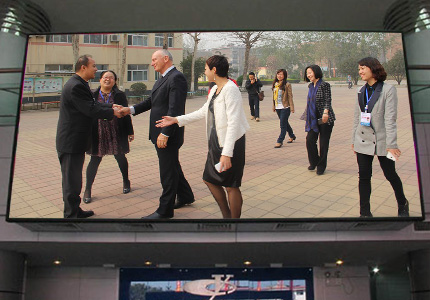 2.It can be used for playing video and image to reception distinguish guests. 3.Cost-effective. The project can be use for a long term without maintain cost. 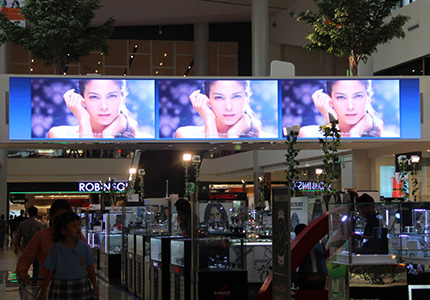 Thank you for visiting our C2M led display online mall. In order service you better. 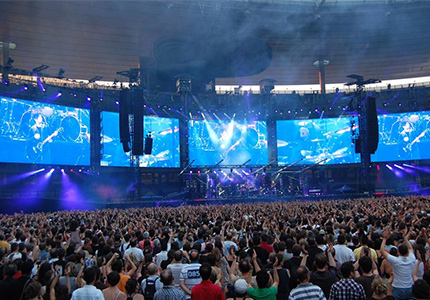 The control system and package has equipped for rental led screen. But there are several things needed to know for running your project well. 1. 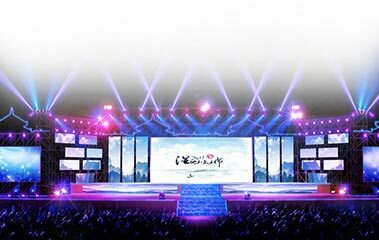 Rental led screen is mainly used for commercial activities such as stage show, exhibition, and commercial meeting etc. 2. 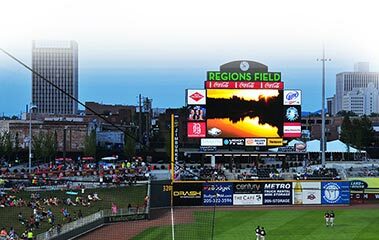 Fast install and dismantle, lightweight, impact-resistant are mainly features of rental led screen. 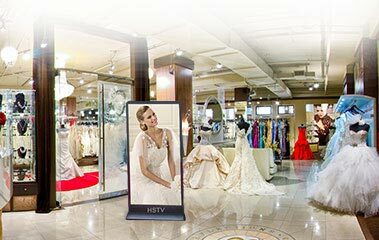 It is very suitable for those projects which need install and dismantle screen frequently. 3. Network cable connects rental led display better within 100 meters, beyond that you need to use fiber and FOT to control display. 4. You may also need to buy other devices of your entire project. 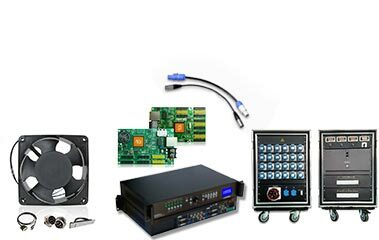 Such as computer, fiber, UTP cable, voltage power distributor, video processor, stage light, install structure etc. 5. 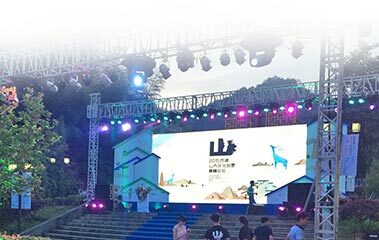 Our engineers will prepare the professional stage installation design drawing, installation instructions and operation video for you.